We’ve been baking our story for over 35 years — it’s filled with warmth, perseverance and the most delicious smells. Our family, the Sunderji’s, took over operations of the B&A bakery with dreams to transform the experience of providing high quality baked goods and service to our customers. We quickly realized that the bakery was too small for the vision we had in mind, and we moved our operations to a larger facility on Ellesmere Road in the beginning of 1998. Excited at the possibilities, we further purchased Olympia Home Bakery and Real Tasty Bagels in the summer of 2009 and merged the two businesses together. We value perseverance, high quality ingredients and impeccable taste. Everyday we strive for perfection in our processes and services to you, our customers. The proof of this in our history, the care put into our thoughtfully chosen recipes and our final products. Each of our recipes and practises meet the standards of Good Manufacturing Practice (GMPs), the HACCP program and the BRC Global Standard for Food Safety. We have also been recognized as a BRC Certified plant for the last 7 consecutive years. 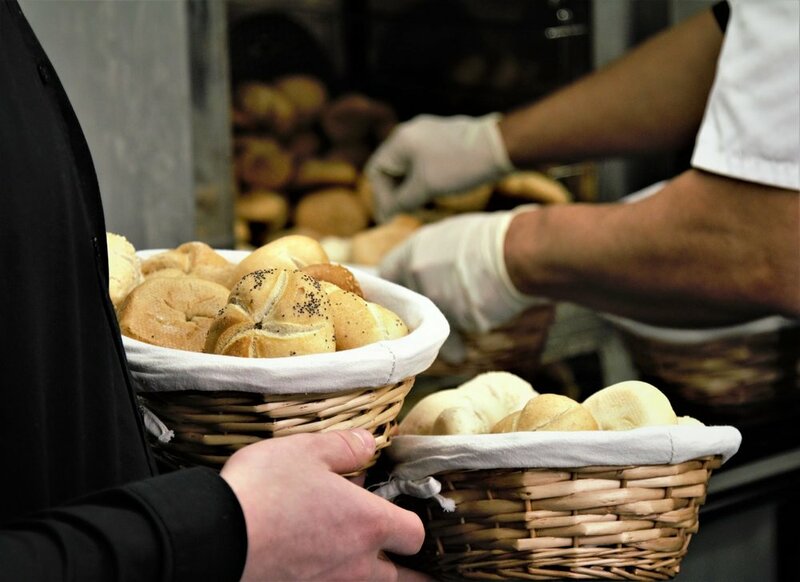 This continuous need for improvement marks the difference in on our processes, safety and quality of every Breadsource product that you purchase. We never forget where we came from and always stand by our practises. Although the bakery has transformed significantly over the years, we always make decisions with the heart and lens of our original vision in mind. This vision is grounded in a raw passion and deep appreciation for baking; catering to people and business operations who have a distinct palette for wholesome goodness.